Earlier today, you may have read my colleague Jeremy Freed’s reflection on visiting Disney World’s Hall of Presidentsin a post-Trump world. Because we’re all about thematic unity here at Sharp — or, um, vague connections spurred on by timely PR emails arriving in my inbox — I have elected (see what I did there?) 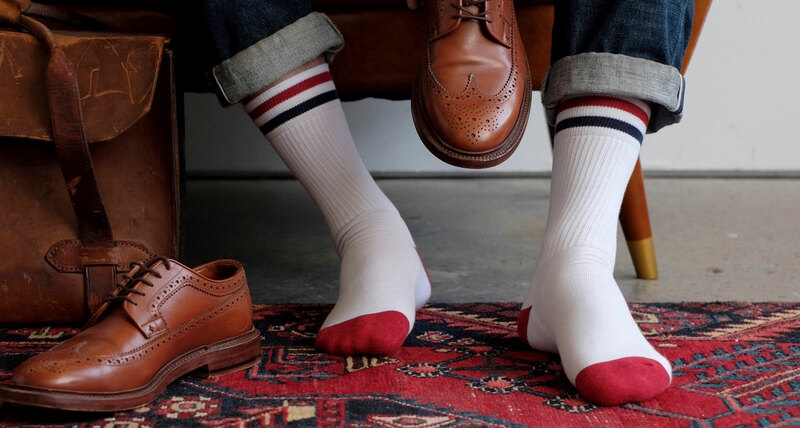 to write about these American Trench socks, which were inspired by one of the men depicted in that Hall: President John F. Kennedy. 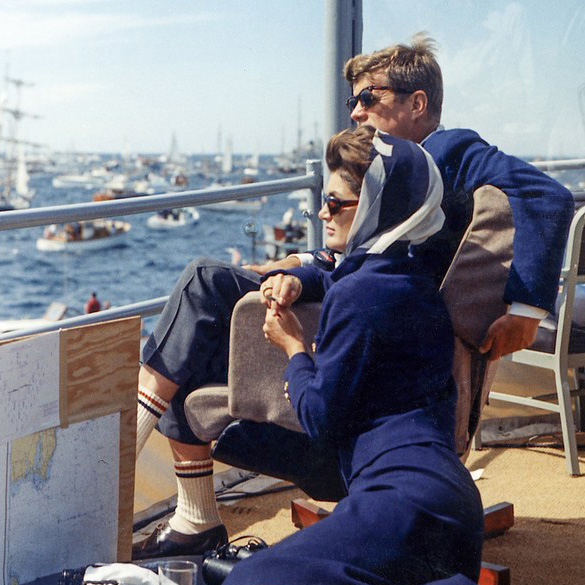 The Kennedy Lux Athletic Socks are exactly what you think they are: American Trench founder Jacob Hurwitz saw the dope old photo above of JFK and Jackie lounging on a yacht, caught a glimpse of the preppy striped socks Jack was sporting, and decided to recreate them. We’d say he did a pretty bang-up job. Fashioned from soft Supima cotton in an unimpeachable (I did it again!) 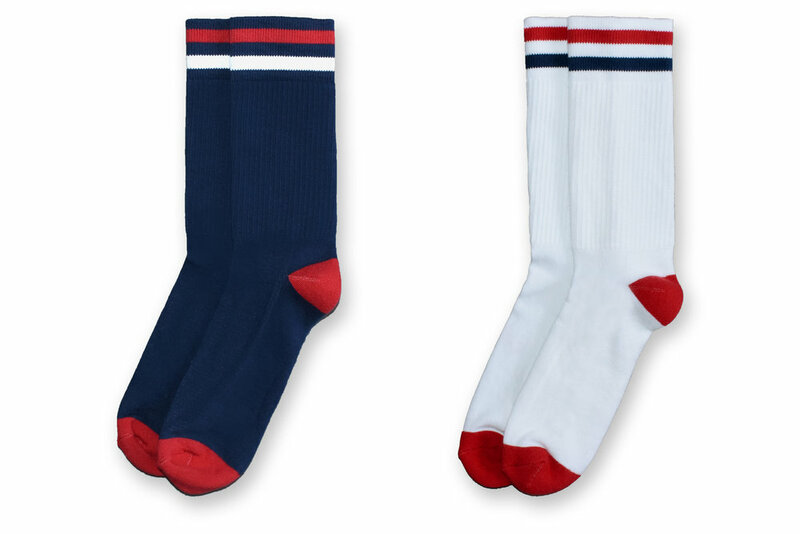 medium weight, these puppies are as classic and all-American as apple pie and ice cream. Yacht or no yacht, they’ll top all your summer looks off with a touch of presidential gravitas (you know, hearkening back to a time when that still existed).